With all the discussion about exhaustion, scarcity, fraud, deception on one side, have you ever actually wondered what the differences between IPv4 and IPv6 addresses really are? If not, let us give a brief overview. Perhaps the most obvious difference of all is that the DNS names will now be used as opposed to IP addresses. The IPv4, addresses are only 32 bits making them easier to remember. However, the IPv6 addresses are 128 bits long. One can imagine just how many more addresses are available in IPv6 as compared to IPv4. This size differential totally changes the way networks will be designed in the future. 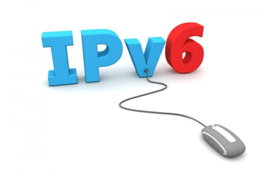 IPv6 bring with them the functionality of both stateless and stateful configuration. The configuration of the latter is similar to the DHCP functionality in IPv4. The new IPv6 can also support SLAAC (Stateless Address Auto Configuration). This allows the nodes to configure network configuration automatically by simply generating local IP addresses, locating default routers and more. This entire process requires no user interaction whatsoever. In the new IPv6, the Internet Control Message Protocol (ICMP) is an essential component. The IPv6 is designed to incorporate more ICMP messages in addition to the basic one found in IPv4. While the IPv4 utilized the ARP functionality, in the IPv6 this has been replaced with Router Discovery and Neighbor Discovery messages. Moreover, fragmentation in IPV6 as opposed to IPv4 is only done by endpoints. Fragmentation requires that ICMP type 2 packets are sent to the host and allowed into the network. If this is not done, the fragmentation will break. This is a drawback, but considering that the MTU for fragmentation in IPv6 is 1280 octets as compared to the 576 in IPv4, the need for frequent fragmentation will not emerge that often. It is important here to understand that IPv6 is a successor to the IPv4. It is no doubt technologically more advanced. Currently, both co exist with IPv4 clearly dominating in terms of usage and demand. However, the number of internet users is increasing dramatically. This means that sooner or later the number of available and unused IPv4 addresses will run out. After that there will be no choice left other than to shift to the latest IPv6 address. Migration will take time but it is something which is inevitable. 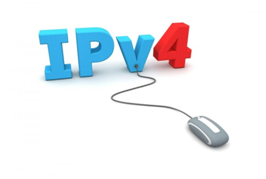 As experts we understand the challenges the IPv4 industry is facing right now. Therefore, strive hard to provide quality IPv4 brokerage services to our clients so all their requirement are met in a convenient and safe manner. If you are looking to buy, sell or lease IPv4 address space, contact us.